Things really come to those who wait 🙂 PlayStation Portable Gamers who haven’t migrated on to the PlayStation Vita might want to take a look at Sony’s latest ploy to pull you in. 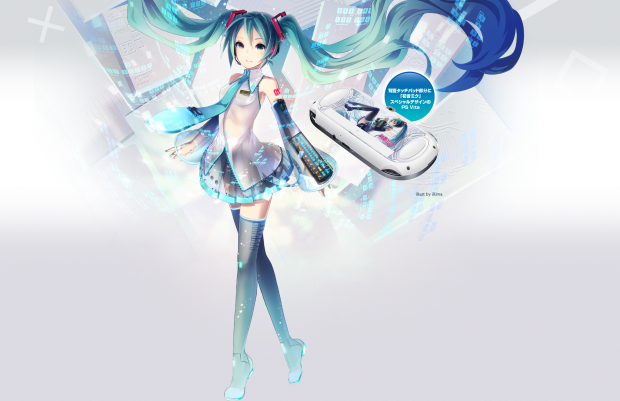 The PlayStation Vita Hatsune Miku Limited Edition package (really backwards naming there, let’s just stick to Limited Edition Hatsune Miku PlayStation Vita) will include a copy of the upcoming Next Hatsune Miku Project Diva and a crystal white PS Vita with Miku proudly emblazoned on it’s skin. The price? ¥39,390 (pronounced “mikumiku”), approximately 493 USD and 21,000 Php. Pretty expensive but I am hoping (against hope) to snag one once it goes on sale on the end of August. For gamers wanting a White PS Vita but can’t afford to plunk that much cash on the Limited Edition Miku version, it will be available on the same day from your favorite retailer.